I love all of it!! Caramel is a favorite of mine and you can find a bunch of caramel recipes here on my blog and Fall is the perfect time to make some homemade sauce for pies and fillings. The best part is that it will keep for a while in the fridge so you can enjoy it for a long time!! 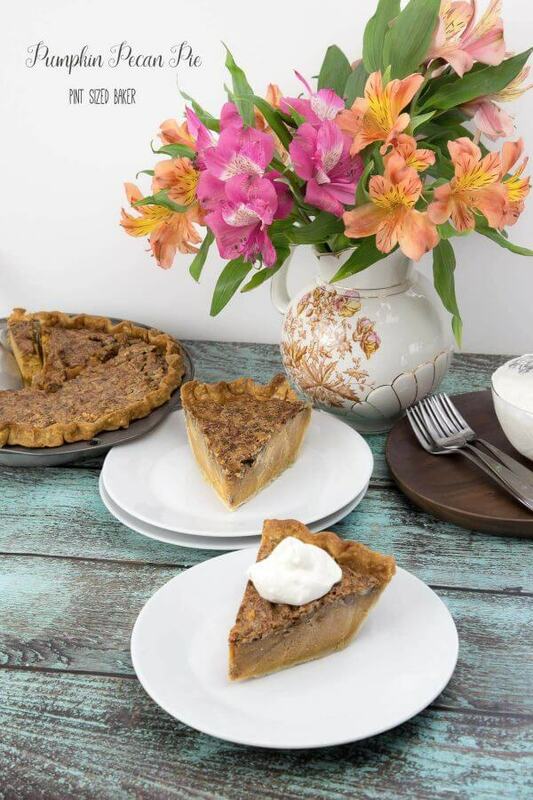 Last week, I shared one recipe – Pumpkin Pecan Pie! Enjoy the best of both desserts in one pie! Please pop on over to it and pin it for me! Thanks so much! Thanks so much for the party, Karyn. Have a wonderful week! !